PUBG (PlayerUnknown’s Battlegrounds) PC costs approximately Rs 1,000 on Steam in India. 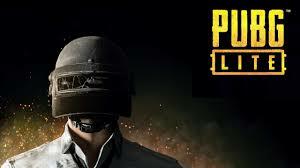 PUBG Corporation has started testing out a free version of the game on PC, dubbed PUBG Lite. This version of the game will take on Fortnite, which is a similar battle royale game offered for free across all platforms including PC. The lite version of the game is currently being tested in Thailand. According to a blog post on the company’s official website from its developers, PUBG Lite will soon make it to other countries. However, it hasn’t mentioned any particular date for the launch. PUBG Lite is a lighter version of the PC game, which will work on low-end hardware. This is a good step from the company as PUBG PC is extremely heavy and doesn’t run properly on even mid-range PCs. According to the blog post, the company released PUBG Lite in Thailand as a limited beta on January 10. On January 24, the company via a follow-up blog post announced that the game is now in open beta and can be downloaded by anyone in Thailand. According to the company, players are required to have a minimum of the following specifications to play the game on their PC without any issues. The minimum specifications include Windows 7, 8 or 10 operating system, an Intel Core i3 processor, 4GB of RAM, 4GB of internal storage and Intel HD Graphics 4000.